When you buy grass-fed beef, you are supporting a system of production that benefits the land, its animals, and you. Grass-fed beef comes from healthy animals who inhabit a natural environment and produce meat lower in fat and higher in some important nutrients. For us, what’s most important is that grass-fed beef tastes better, having the full beefy flavor beef was meant to have. 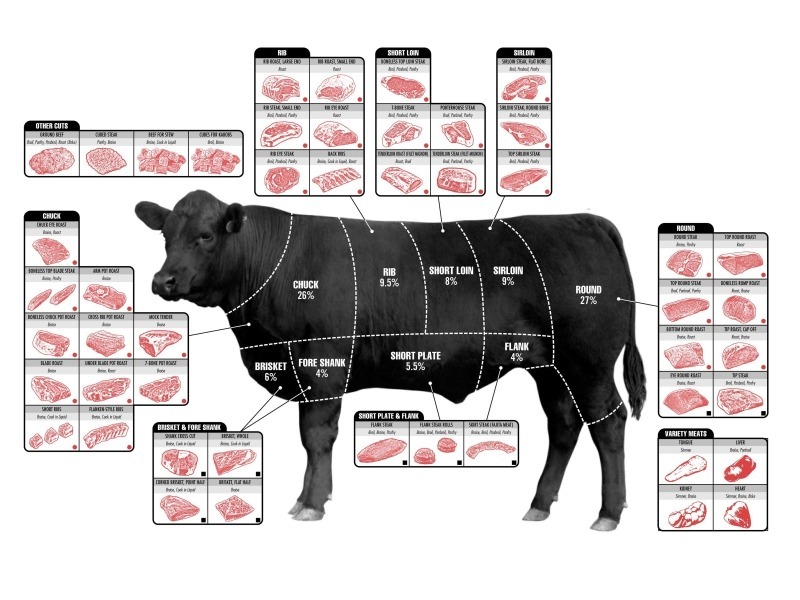 Learn more with this Beef Cut Chart download. Get inspired! For more info about beef cuts, click here >>.